Getting really hot, stinky and dirty gives you a greater appreciation for being able to be clean! If your mower won't crank no matter how hard you pull, check to make sure the spark plug is connected. 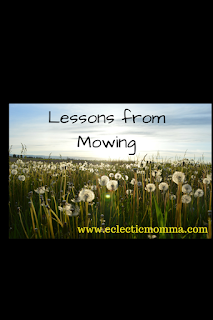 If your mower dies, you didn't mess it up! It's probably just out of gas. Don't mow on an empty stomach or a full one! Mowing first thing in the morning is the best. Wet grass is harder to cut. Sometimes you have to mow even when your lawn doesn't need it, because it's going to rain for a week. 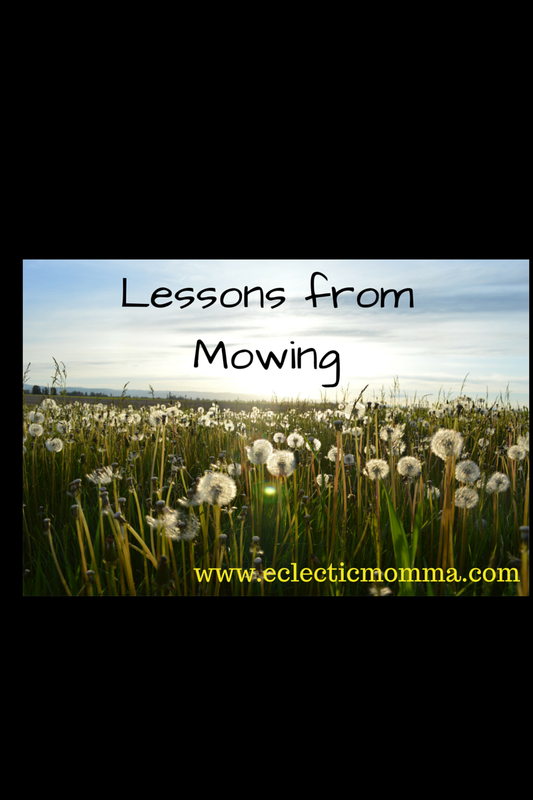 Mow the lawn every week--give or take a few days. If you don't, it's BAD! The less lawn the better! Edible landscape is the way to go, folks! Doing something you hate because it helps someone you love is more important than your dislike of the job. Cloudy, breezy days are a true blessing! There's a huge sense of satisfaction when it's all DONE!